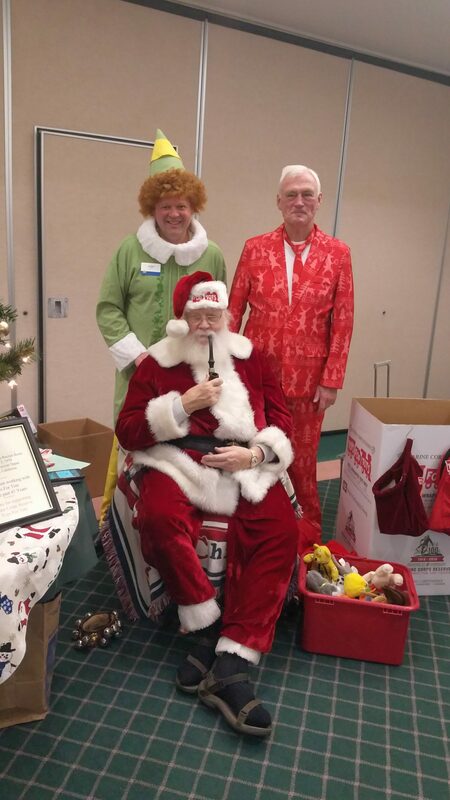 15th Annual Lavender Holiday Bazaar – A Huge Success!! 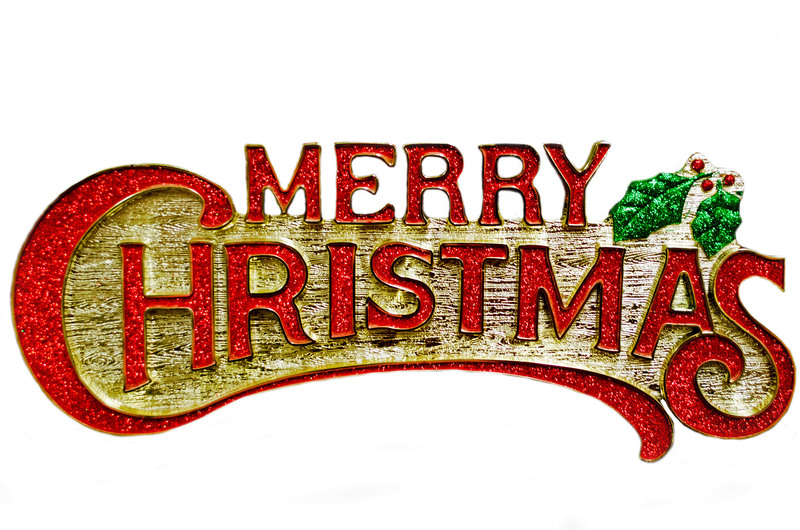 The Sequim Lavender Growers Association would like to thank all their customers, supporters and especially the Sunland Golf Club for making this year’s holiday bazaar a huge success! 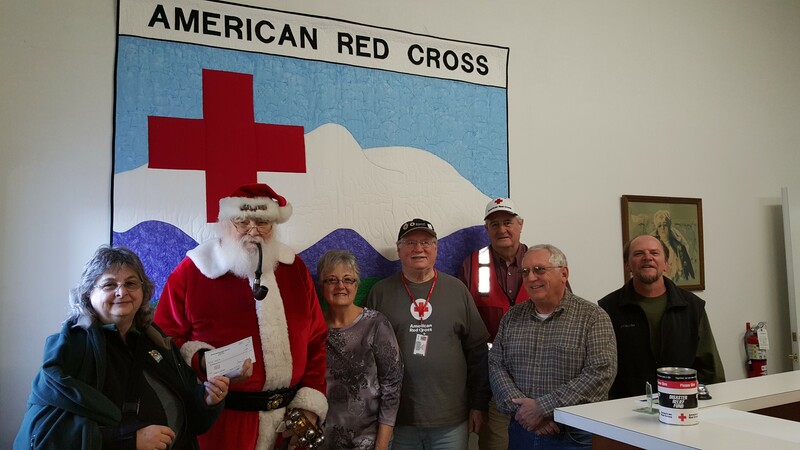 In addition to offering amazing lavender products for those doing their Christmas shopping, the Sequim Lavender Growers Association raised $1200 for two very worthwhile local charities – Toys for Tots and The Red Cross. 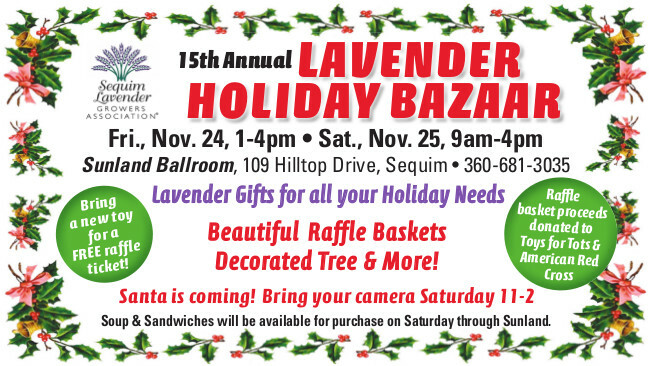 The Lavender Gift Baskets (filled with goodies from the Sequim Lavender Growers) were raffled off and raised almost $600. 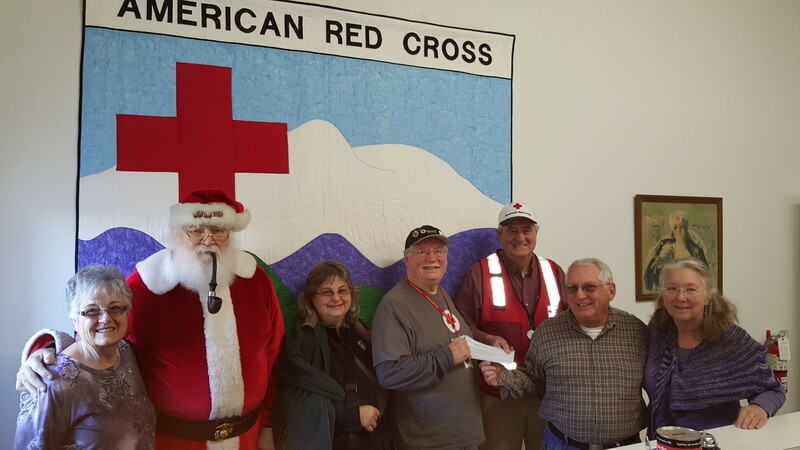 The Sequim Lavender Growers Association is matching the raffle proceeds and presented checks to Toys for Tots and The Red Cross for $600 each.